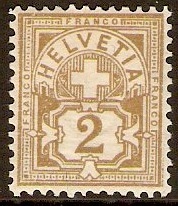 Switzerland 1881 20c. Brown-Orange. SG109. Unmounted Mint 1881 20c. Brown-Orange. SG109. 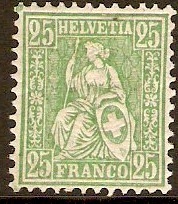 Switzerland 1881 25c Green. SG110. Mounted mint 1881 25c Green. SG110. 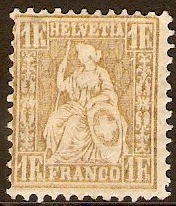 Switzerland 1881 1f Gold. SG113. Heavy mounted mint 1881 1f Gold. SG113. 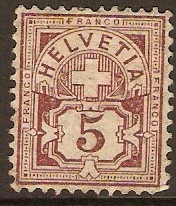 Switzerland 1882 2c Olive-bistre. SG126A. Unused 1882 2c Olive-bistre. SG126A. 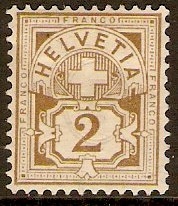 Switzerland 1882 2c olive-bistre. SG126B. Used 1882 2c olive-bistre. SG126B. Mounted mint 1882 2c Olive-bistre. SG126B. 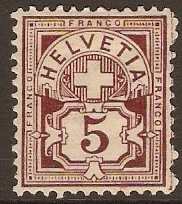 Switzerland 1882 5c Maroon. SG128A. Mounted mint 1882 5c Maroon. SG128A. 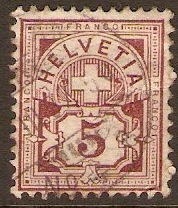 Switzerland 1882 5c maroon. SG128B. Used 1882 5c maroon. SG128B. 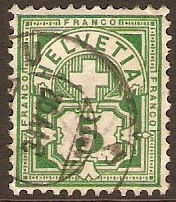 Switzerland 1882 5c deep green. SG129B. 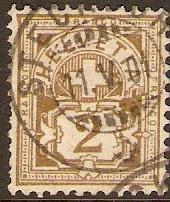 Used 1882 5c deep green. SG129B.